Elevators, by any stretch of the imagination, are one of, if not the, safest mode of human transportation in a mechanical object. Really, when you stop and think about it, how many times have you taken an elevator? Probably hundreds of times, and if you work or live in a high rise building, probably thousands of times. And aside from the occasional mechanical problem, (which are VERY occasional, statistics show only 1 in 12 million elevator rides result in some kind of problem, and that is usually a minor fault such as doors failing to open), you are still here to read Listverse every day. In fact, of the millions of elevator rides taken by humans every year, only about 20-30 elevator-related fatalities occur. And these usually involve a maintenance person, or an occupant being reckless (climbing out of a stuck elevator) or careless (stepping into an open elevator shaft) or just plain unlucky (getting their scarf caught in a closing elevator door). However, two recent elevator related tragedies in New York City have focused our attention back to an indispensable piece of technology that most of us take for granted, but which still holds both the power to kill and frighten. The first incident took place when 41-year-old Suzanne Hart was killed in an elevator accident. Hart worked at a New York City high rise building, and was on the first floor and heading to work around 10 a.m. As she stepped onto the elevator the doors closed on her and the elevator rose towards the second floor. This pulled her upward into the elevator shaft. Ms. Hart was trapped between the first and second floors. She was declared dead at the scene. Two other passengers in the elevator at the time were treated for trauma after witnessing the horrific accident. The cause of the elevator malfunction has not yet been determined. The second incident did not involve a malfunction of the elevator or an error by anyone riding in it. Instead, it was a horrific and cold-blooded murder. A man named Jerome Isaac attacked and killed a 73 year-old woman named Deloris Gillespie. On Saturday, December 17, 2011, Ms Gillespie was returning to her fifth-floor apartment, in Prospect Heights New York City, from an evening of grocery shopping. She stepped onto the buildings elevator to go to her apartment, and on the fifth floor, Isaac was waiting for her. Because he was angry over money Ms Gillespie supposedly owed him, he attacked her as the elevator doors opened. Surveillance video shows Isaac spraying a flammable material, possibly gasoline, from a garden type sprayer into Ms. Gillespie’s face as he pushed her back into the elevator. Isaac then lit a Molotov cocktail, stepped out of the elevator and threw it in, igniting the woman in flames. For good measure, he then stepped back towards the elevator and sprayed her again with gasoline, as she burned alive. She was declared dead at the scene and Isaac is now in custody. It’s hard to imagine a more horrific way to die in an elevator than the fate that befell Ms Gillespie, but here are ten more tragic elevator accidents for your consideration. On the night of May 22, 1903, in Pittsburgh, PA, a large group of mostly young people who attended the Pennsylvania Electric Mechanical Institute were having a celebration party on the fifth and sixth floors of the Donnelley building. About 700 people packed the two floors for the ball, and at around 10 PM another group of seventeen passengers was loaded into the elevator on the first floor, bound for the party on floor six. Just as the elevator reached the floor, it suddenly let go and fell six stories, crashing into the elevator pit. The multi-ton elevator cable and assembly came crashing down onto the elevator, crushing the occupants. When the party goers heard the crash, they rushed to the elevator. In the panic, some nearly fell into the open shaft. Four bodies were pulled from the rubble and taken to a morgue. They were so badly mangled it was not until the next day they could be identified. So mangled were the bodies, they could only be identified by the cloths they were wearing. The others in the elevator, the youngest being only 3 years old, somehow survived. The accident was blamed on overloading of the elevator with 17 people when the maximum weight allowed for only 10-12. December 1946. World War II had come to an end barely four months earlier, but life went on all across the United States, where industry was trying to make the pivot from wartime production back to peacetime. In the little town of Dover-Foxcraft, Maine, at the American Woolen Company textile mill, twelve women were about to do something they did every day at work – step onto an elevator. Only this time, things would not go as they normally did. Textile mills have always been a hazardous place to work. Unguarded machinery could grab and pull a worker into the machinery, cutting, impaling and crushing them to death. The dust from the textiles hung in the air, thick and heavy and when breathed into the lungs caused occupational disease such as brown lung, or even anthrax. Fires were common occurrences. 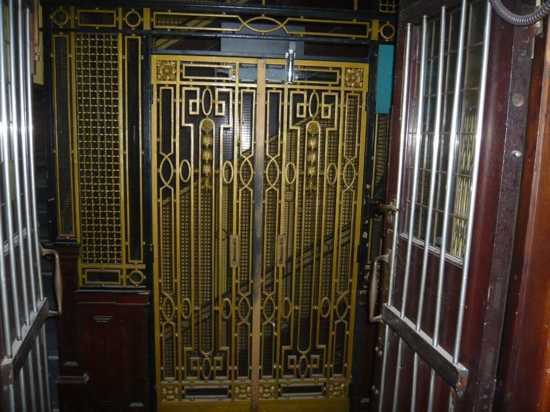 By 1946, it had been nearly 100 years since March 23, 1857, when the first Otis passenger elevator was installed at 488 Broadway, in New York City. 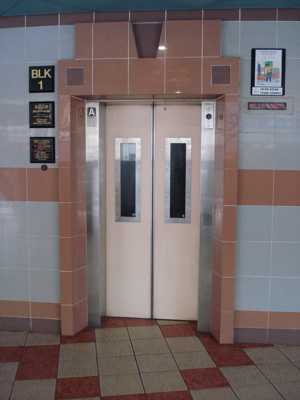 The Otis safety elevator was the first passenger elevator to have an automatic safety device to stop the elevator from free-falling should the cable snap. Though accidents and deaths occurred in elevators, they were normally associated with occupant error, or maintenance activities (something that remains true even today). So the twelve women had nothing to fear as they stepped onto their work elevator that day. As they boarded the elevator on the third floor of the building, the elevator operator, Mrs. Blanche Foss, heard something break overhead. She jumped out of the elevator just as it let go and crashed three stories down into the elevator pit. What Mrs. Foss heard was the elevator cable and the elevator drum support assembly breaking free. The elevator and the twelve occupants crashed to the elevator pit, but that was the least of the dangers they now faced. An instant after they hit bottom, the 500 ton elevator cable, drum and assembly crashed through the roof of the wooden elevator. Two women were killed instantly with compound fractures of the legs, skull fractures and broken necks. The other ten women somehow survived but all were seriously injured. The mill superintendent stated that the elevator “was in fine working condition” and that he could not understand any reason for the accident. Isaac Jordan has the unique distinction of being the only US Congressman ever killed in an elevator accident. 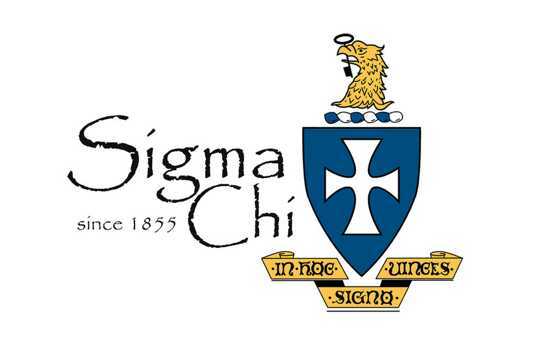 Born on a farm in Mifflinburg, Pennsylvania, in 1835, Isaac Jordan would not only go on to become a US Congressman, he was also one of the founders of the Sigma Chi fraternity, in 1855. A self-made man he became the US Representative for the 2nd District in Ohio, in 1883. He was killed accidentally, in 1890, when leaving his law offices in downtown Cincinnati, Ohio. Jordan paused at the elevator entrance and turned to greet a friend. As he was conversing with his friend with his back to the elevator door, he did not notice the elevator had ascended to the floor above with the door still partly open. With a quick movement, and still facing his friend, he stepped into the open elevator shaft and fell to his death. Hirosuke Ichikawa, was a 16 year old high school student who lived in the City Heights Takeshiba public housing complex in the Minato Ward, one of 23 Wards in Tokyo, Japan. In June 2006, Ichikawa was backing his bicycle out of an elevator when the elevator suddenly malfunctioned. Ichikawa was half-way out of the elevator when it suddenly shot upwards, with the doors fully open, pinning him against the door frame. He was killed by asphyxiation. Police arrived and eventually pulled Ichikawa out, and as they did, even though power to the elevator had been disconnected, the elevator still shot to the top story of the elevator shaft, stopping only at a collision prevention device. The resulting investigation of how this could have happened brought into question the safety of elevators in all of Japan, especially elevators manufactured by Swiss elevator company Schindler. The investigation found 41 elevator-related mechanical problems in two Schindler elevators installed in the apartment complex over a two-year time period. The final cause of the accident was placed on the failure of a braking system in the elevator, combined with poor maintenance. The Minato Ward public housing corporation decided to replace all five Schindler elevators in the condominium with elevators from another manufacturer. 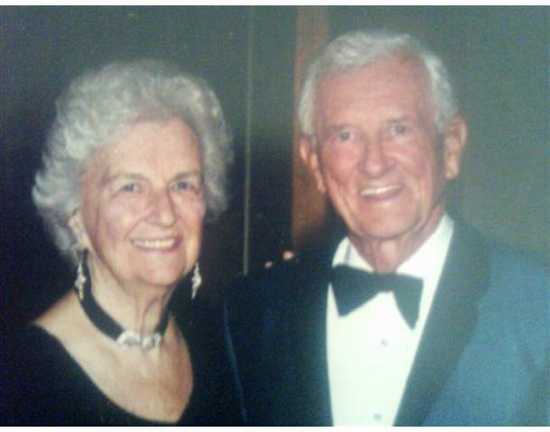 Sherwood and Caroline Wadsworth met while attending Ursinus College, in their home state of Pennsylvania, in the 1940s. Sherwood went off to war, surviving missions as a bomber pilot in World War II. Caroline Wadsworth was the daughter of prosperous car dealer. After the war, Sherwood started his own car dealerships in the Philadelphia area and the two of them retired to the Georgia coast in the early 1980s. The Wadsworths’ three-story home overlooking Georgia’s coastal marshes contained an elevator. Elevators are becoming more and more common in private residences, but in Georgia the state does not require regular elevator inspections as they do for elevators installed in public or commercial buildings. The state of Georgia does require all elevators to be equipped with landline phones, whether they’re in public buildings or private homes. The elevator in their home had a telephone jack, but no phone connected to it. 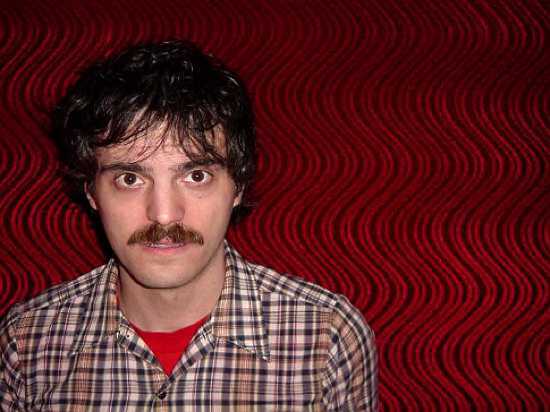 Gerhardt “Jerry” Fuchs was drummer and member of such indie rock groups as Turing Machine, and Maserati. He also played the drums, live or in recording sessions, with groups such as LCD Soundsystem and Moby. Fuchs was also a graphic artist and a freelance writer, working for Entertainment Weekly magazine. Unfortunately, Fuchs leo became an example of one of the two most common manners in which elevator occupants get killed by elevators – trying to escape one. Early in the morning on November 8, 2009, while in New York attending a benefit concert, Fuchs was caught in a broken elevator in Brooklyn. Fuchs may have been unable to call for help. More likely, he called for help but grew impatient waiting for help to arrive and repair the broken elevator. Regardless, Fuchs, like so many that get killed in elevators, decided to escape on his own. As he attempted to jump out of the elevator, he fell to his death down the elevator shaft. On January 6, 1995, 55 year old James Godfrey Chenault, was going to work, as he had for 20 years, at the Kingsbridge Welfare Center, located in the Bronx, New York City. On the first floor of the office building, Mr. Chenault and several other passengers boarded the elevator and, for some unknown reason, the elevator seemed to rise too quickly to the second floor. When the elevator stopped and the doors opened it had stopped slightly above the level of the second floor. Chenault was a Vietnam War veteran and had probably dealt with worse situations than this one. He decided to help the female passengers out of the elevator. He did so by holding the elevator doors open with his back while straddling the elevator, one leg in the elevator, one leg on the second floor. He was helping the occupants get off the elevator when it suddenly shot upwards, beheading him. His body fell onto the second floor lobby and his head fell into and onto the floor of the elevator. 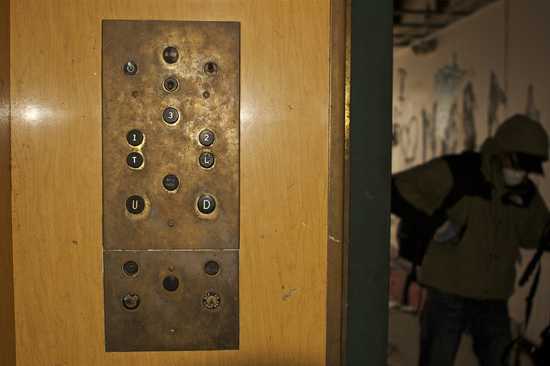 His head and the two remaining passengers in the elevator shot up to the ninth floor. One of the passengers described the scene – “I can’t get it out of my mind,” “The head was there but the body wasn’t. He still had the Walkman (earphones) on his head. . . .” There had been many problems with the elevator, and the service repairman was at the building that day to work on it. The elevator had been inspected on November 1, 1994, and passed the inspection. The most common way to die in an elevator accident is to be an elevator maintenance employee working on one. The second most common way to die in an elevator is to be an occupant in a stuck elevator, who then tries to climb out and either falls to their death or, while only half way out the door, is crushed when the elevator suddenly moves either up or down. Louis Tornero Moffit found a new way to die in an elevator – by surfing one. Elevator surfing or “Vator Surfing” is the act of “riding” on top of a moving elevator. Though this looks easy to do in films starring Bruce Willis, it is, in fact, exceedingly dangerous. Practitioners of this “sport” gain access to the top of the elevator by either prying open the doors at the floor above the elevator and jumping down on top of the elevator roof, or by stopping a moving elevator between floors and gaining access to the roof through the ceiling hatch. Once there, the “Vator Surfer” rides the elevator as his or her friends operate the controls. Once on the elevator roof the surfer finds out the hard way that elevators and elevator shafts in real life differ from the ones in Hollywood movies in several ways. One, Bruce Willis is not there. Two, elevator shafts are much smaller than they are depicted in Hollywood films. Three, they are filthy dirty with plenty of grease and lubricant on just about everything. Four, they are dark, not at all like the brightly lit Hollywood sets. And five, there are all manner of protuberances, devices, and equipment inside the elevator shaft to get caught on, trip over, or get crushed into, most notably the elevator counter weight. Canadian-born Moffit was a self-confessed adrenaline junkie who, along with friends, loved to BASE jump (jumping off towers, bridges, spans and other man made or natural structures with a parachute). At the Toronto Four Season Centre, they wanted to pull off a BASE jump inside the massive five-tiered auditorium, but first could not resist some elevator surfing. Early one morning, Moffit and his friends broke into the Centre and made their way to the elevators. Moffit climbed on top of one of the elevators while his friends operated it from inside. Unfortunately for Moffit, he was still wearing his parachute, which somehow deployed while he was inside the elevator shaft, while the elevator was moving. According to police who found Moffit in the elevator shaft “his harness and parachute becoming entangled with the machinery of the ascending elevator”. Moffit was pronounced dead on the scene with cause of death being noted as: “strangulation and massive trauma to the head and abdomen”. On July 28, 1945, the United States and the world are almost at the end of the long struggle of World War II. Lieutenant Colonel William Franklin Smith, Jr., was piloting a B-25 Mitchell bomber from Boston to LaGuardia Airport. When he reached New York City and asked for permission to land he was told there was zero visibility because of thick fog. Smith decided to press on anyway and, lost in the fog, slammed his B-25 right into the north side of the Empire State building between the 78th and 80th floors, punching an 18 foot by 20 foot hole in the building. One of the plane’s engines slammed through the opposite side of the building and landed on the roof of another building, where it set fire to a penthouse. Firefighters had the fire in the Empire State Building under control within 40 minutes of impact. To this day, it remains the highest level of any building where a fire was successfully extinguished. Fourteen people were killed, three in the airplane and eleven in the building. One person in the building who was not killed was Betty Lou Oliver, who can be described as one of the world’s luckiest or unluckiest people, depending on which way you wish to view what happened. Oliver was the elevator attendant in the building that Saturday. When the plane struck the building she was on the 75th floor and was thrown to the ground by the force of the impact, as well as sustaining burns from the burning airplane fuel. Having survived a plane crash into the building, the danger was far from over however. The rescuers decided to get her to the ground floor as quickly as possible so she could be taken to a hospital for treatment. They decided to use the elevator to take her down the 75 stories. What they did not know was the elevator they were using to transport her in was damaged by the plane crash. The elevator cables were almost set to break free. They placed Oliver in the elevator and, when the doors closed, the cables snapped. Oliver and the elevator plunged 75 floors to the basement but, miraculously, she was not killed. Thousands of feet of elevator cable had fallen to the basement before the elevator and this “softened” the impact. Once again, Oliver had to be rescued, this time from the bottom of an elevator shaft among heaps of twisted metal. Seriously injured, she lived and to this day holds the record for the longest survived descent in an elevator accident. This would remain the only known instance of a free-fall of a modern cable-borne elevator, until September 11, 2001. 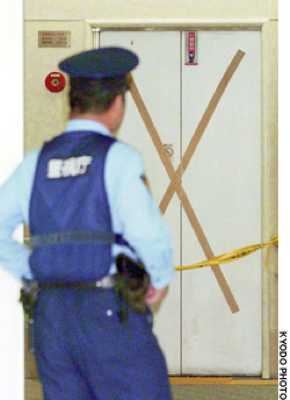 Hitoshi Christopher Nikaidoh was killed in what has to be one of the most gruesome of all gruesome elevator deaths (and many are, indeed, very gruesome). Nikaidoh was a surgery resident working at Christus St. Joseph Hospital in Houston, Texas. The hospital had, as most hospitals do, several elevators to transport people up and down the tall building. But, for four days, elevator #14 was closed for repairs. Also working at the hospital was physician’s assistant Karin Leah Steinau. While the elevator was out of service she had been using the stairs, but on Saturday August 16, 2003, the “out of service” sign was taken down so Steinau decided to take the elevator. Standing across from her near the physicians lounge on the second floor, was Nikaidoh. 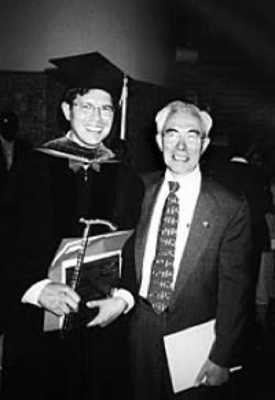 Nikaidoh was an aspiring missionary doctor and very popular among his class of resident students. It was about 9:30 AM, a day like all the others that hospital personnel take elevators between the many floors of the hospital to do their work. This day was going to be very different however. Steinau pressed the call button and did what she always did with the slow elevators, she waited for the first to arrive at her floor. It was elevator #14 that arrived, nearest where Nikaidoh was standing. Steinau walked a few yards across the second floor lobby to join him. She got into the elevator first and pressed the button for the sixth floor. Nikaidoh looked at her and asked if the elevator was working. Steinau responded that, apparently, it was back in operation. So Nikaidoh started to step into the elevator to join her. Only just as he stepped in, the doors suddenly slammed closed on him. Normally when this happens the elevator doors are designed to automatically reopen. This did not happen and in an instant, Nikaidoh found himself pinned by the closed doors as the elevator began to rise. Steinau said she saw Nikaidoh try to pull free, struggling against the elevator. He almost shrugged his shoulders free from the clamping doors to quickly pull himself inside, but he didn’t make it. As the elevator rose it forced his head into the ceiling and sliced off most of his head. His left ear, lower lip, teeth and jaw were still attached to his body, which fell to the bottom of the elevator shaft, as the elevator continued moving upward. The elevator stopped just below the fifth floor and it took rescuers and hour to free Steinau. During that time she had the remainder of Nikaidoh’s head in the elevator with her. “I just keep seeing the look in his eyes,” she told officers. 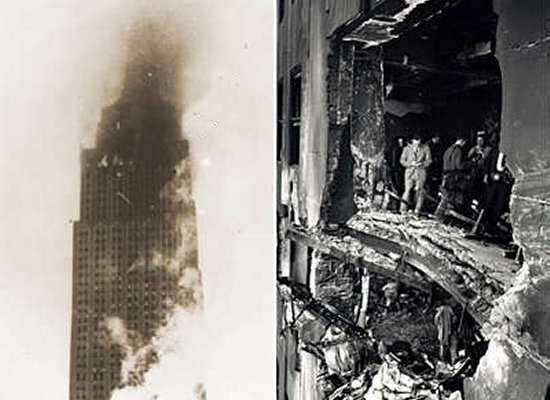 Sixty six years after a B-25 airplane crashed into New York Cities landmark building, The Empire State Building, history would repeat itself. Only this time the planes would not be piloted by American service men, but by terrorist’s intent on destroying the newest of New York City’s trademark buildings, the World Trade Center buildings 1 and 2. The World Trade Center buildings did not have 2-4 elevators like most buildings, they had a total of 198 elevators. It was one of the most impressive elevator systems in the world, carrying thousands of people 110 stories up and down every day. On September 11, 2001, when the two airliners crashed into the towers, the force of the impact severed the cables of many elevators resulting in only the second instance of a cabled elevator system going into a free-fall. It is not known how many people were in elevators and died when they fell to the bottom of the shafts, were burned alive inside the elevators by the jet fuel, or who were trapped inside and died when the buildings collapsed; all extremely terrible ways to die, indeed. An investigation by USA Today determined that upwards of 200 people probably died in the elevators of both towers that day. The elevator shafts spread burning fuel and smoke vertically and horizontally throughout the buildings. There are many documented cases of people who were standing near the elevators, or just about to enter or get off the elevators, when the jets hit. They were seriously burned by jet fuel which traveled down the elevator shafts and ignited. The USA Today report found 21 people who had been trapped inside elevators after the planes hit the building but who escaped and managed to get out of the buildings before they collapsed. They found no examples of successful rescues by emergency responders, of people trapped in the elevators, though many firefighters died trying to free the passengers. However, the elevators played an important role in helping many people evacuate the south tower between the time the north tower was hit and the time the south tower was struck by the second airplane. Many people rode the elevators down to safety in the roughly 16 minutes between the two plane impacts. The elevators played another, lesser known part in saving people that day. Housed inside strongly built metal mechanical rooms, the elevator motors, cables, and other huge mechanical components were located on the 78th floor of the South Tower. 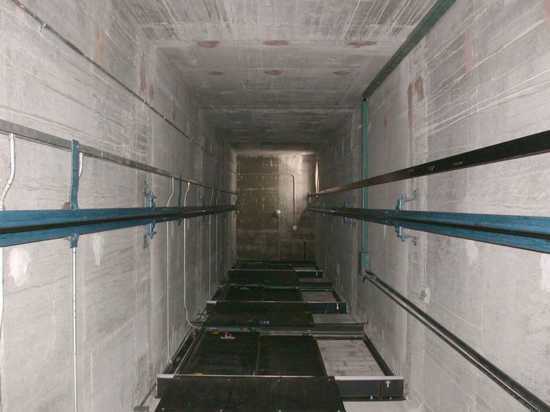 When the airplane hit, the strong elevator mechanical room on this floor prevented the plane from penetrating completely through the building. This left open one stair tower for people to use to exit the building, the only stair tower of either building that had not been crushed by the impact. 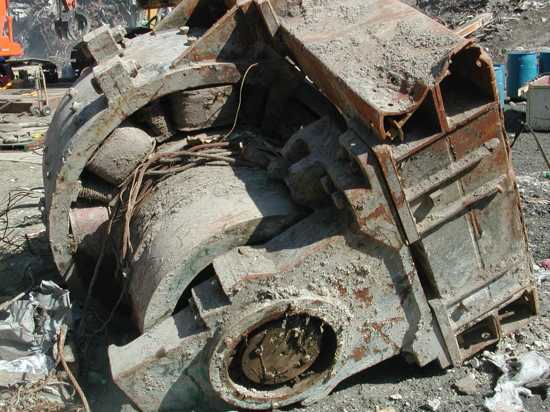 Elevator parts were recovered from the rubble of the collapsed World Trade Center towers, including one of the huge motors. It will be displayed, along with many other items recovered from the buildings, in the new 911 museum at the site of the former World Trade Center buildings.